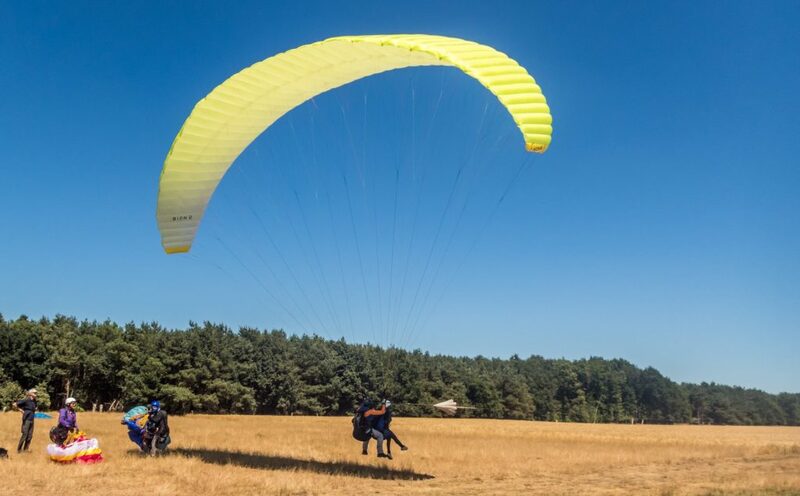 Last sunday, 15th of July, we had a fantastic day at CloudtoCloud paragliding in the Netherlands. Mild wind from the north-east and lots and lots of thermals. Hardly any pilot did not find a thermal. We started arround 11 am and the first pilots in the air already managed to stay up. This rarely happens. Especially when we have a stable (HP) period, but somehow the very dry grounds (we haven’t had any rain since some months now, occasionally a drop) work very well. Not very strong but more a steady 1,5 – 3 m/s climb up to about 1300 meters. Our first XC pilot launched at arround 12.15. No Clouds, just blue, very good, dry air and mild winds. He landet after about 50 km. Three other pilots flew away with distances between 30 and 50 km. 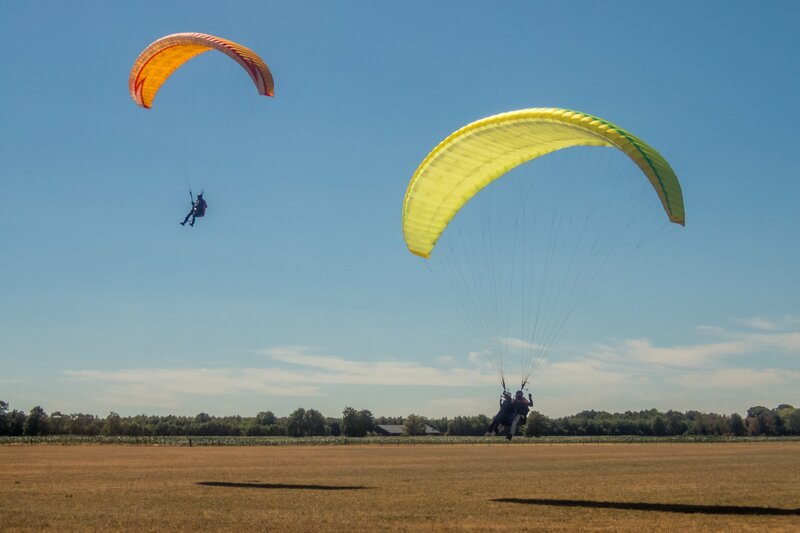 The rest of the pilots juste enjoyed their local flights and hours, while heavily sweating in the July heat of about 28° C.
Thats how it usually works in the Netherlands: You get towed up, find a thermal – or descent after max 10 minutes. 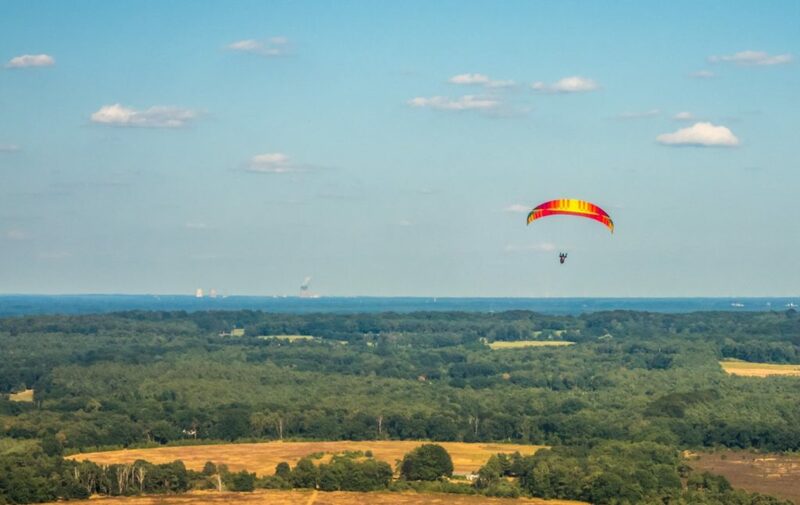 You don’t have much time to search… You get towed up to about 250 -350 meters (depending the wind direction and force) on strong wind days you might reach 600-700 meters. Or we do a “Stufenschlepp” (“step towing”). That means that after the first pull, you turn arround with the cable, fly back, turn in and get the next pull. You can do this serveral times but only when the wind is straight on towing track. Curious about flatland towing? Visit our (Dutch) website to see if we fly (you get a red, orange or green thumb). Or even better still: Visit us! Nice story Hans, One day I will come for sure! !